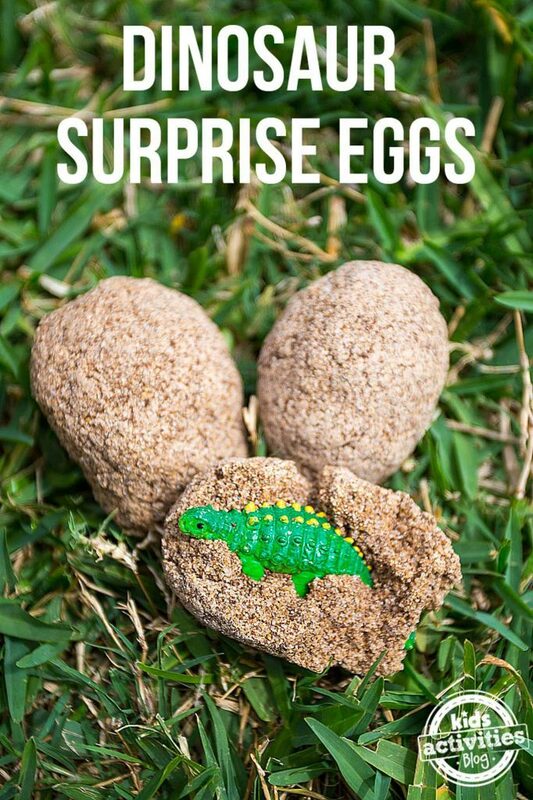 With just a few ingredients, you can make realistic-looking eggs that are filled with tiny dinosaurs when cracked open! 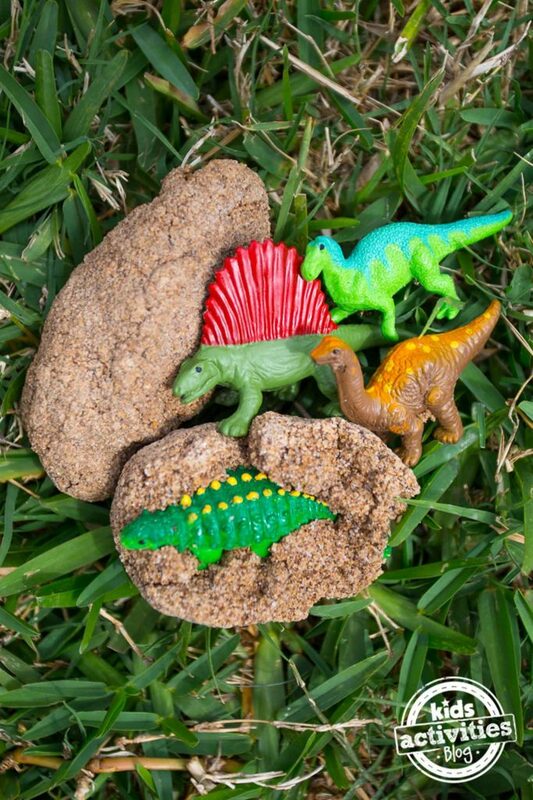 Dinosaur eggs are one of our favorite dinosaur crafts and activities. My son loved breaking the eggs open and finding the toys inside. It was a great activity for a hot summer day! Mix together the flour, coffee, sand, and salt. Slowly add water and mix until a dough-like consistency is reached. You’ll be able to just mold the mixture but it will still be pretty crumbly. Add a bit of mixture to your hand and place a dinosaur on top of it. Add more of the mixture and press around the toy to cover it. Mold it into an egg shape. Place on a cookie sheet or tray and allow to dry completely. It will take several days — flip the eggs over after a day so that they dry evenly. Once the eggs are dry, it’s time to break them open! 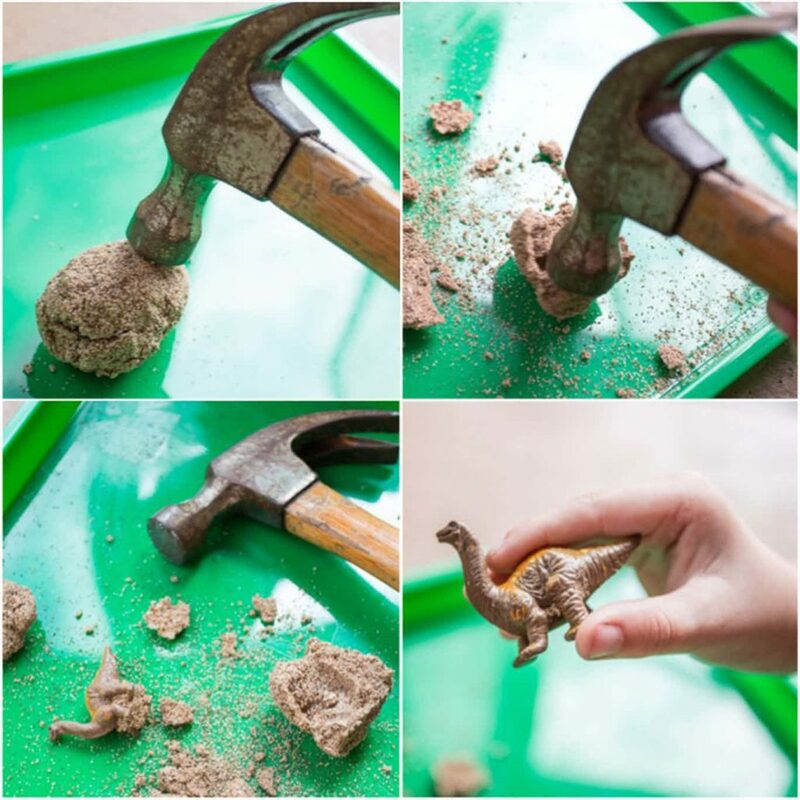 Use a hammer to break them apart and reveal the dinosaur inside — be sure to supervise children during this step! If your kids love this activity, you might want to try our dinosaur ice break out game! And be sure to follow us on Facebook for even more fun kids activities and crafts all summer long.